This easy slow cooker ham is cooked with vegetables and a flavorful glaze. The easy glaze is made with honey and spices. Ginger ale is the cooking liquid for this ham, itself making a delicious marinade. 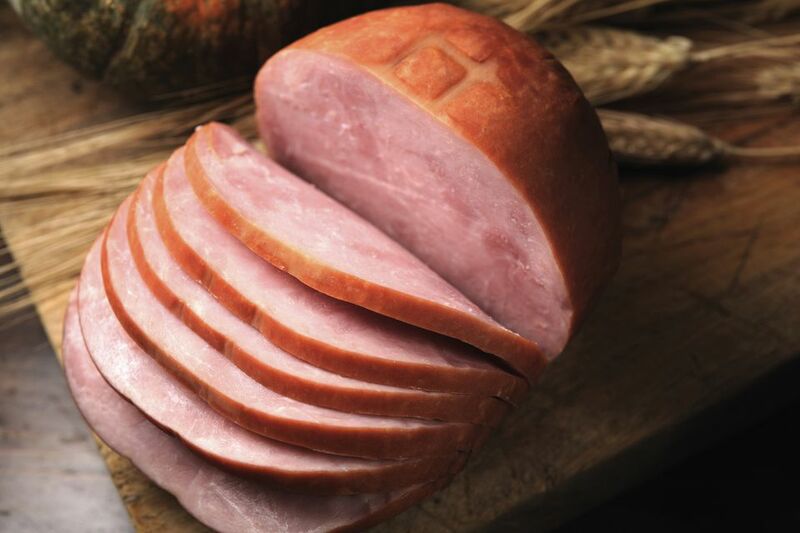 Use a fully cooked ham in this recipe. A fully cooked ham should be cooked to an internal temperature of 140 F. If you are in doubt, check with an instant-read thermometer inserted into the center of the ham, not touching bone. Feel free to cook the sweet potatoes separately. Make baked sweet potatoes or a sweet potato casserole to go with the ham. Scrub the sweet potatoes and trim. Cut in half. Peel carrots and slice diagonally in 2-inch lengths. Place vegetables on the bottom of the crockpot, place ham on top and then pour ginger ale overall. Cover and cook on LOW for about 5 to 7 hours, or until vegetables are just tender. In a buttered measuring cup mix about 2 tablespoons of liquid from the pot with the glaze ingredients; pour over the ham. Continue cooking on LOW for 1 hour, basting frequently. Slice ham into thin slices and serve with the cooked vegetables. If the vegetables are already quite tender, either remove them to a baking dish, cover, and keep them warm in a 170 F to 200 F oven or move the ham to a baking dish and finish cooking while glazing in a 350 F oven for about 30 minutes.